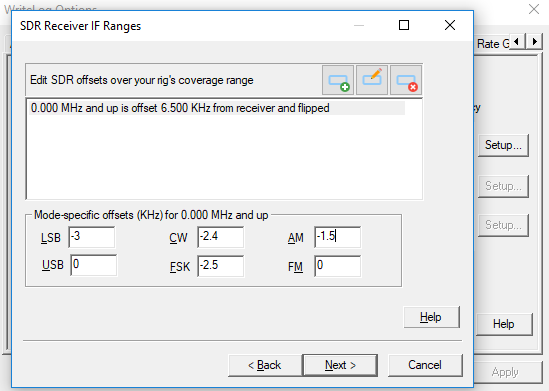 The Elecraft K3 is a simple rig to setup in WriteLog’s SDR wizard. Click Next through the wizard steps until you get to Finished, then Run the SDRs and OK.
Switch the K3 to USB, and the same 3550 carrier now appears at 3556.5. I’ll leave it as an exercise the reader to demonstrate that (a) turning the K3’s bandwidth control does not move the blip but (b) turning the K3’s IF Shift control does move the blip. 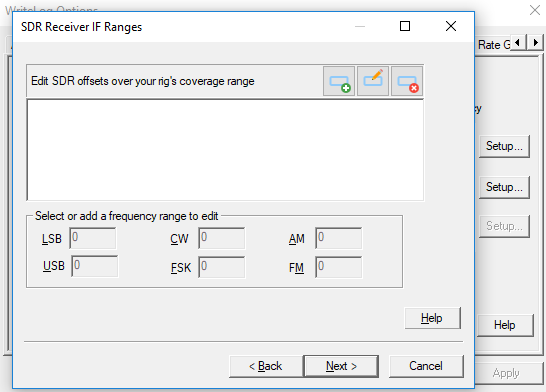 The IF shift control setting is not available to the WriteLog Band Map, which means that engaging the IF shift moves WriteLog’s panadapter off frequency. On CW the carrier appears at 3554.1. 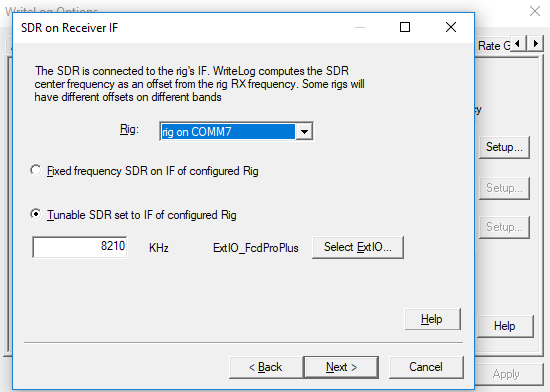 The last two columns are what we enter in WriteLog/Setup-SDRs, Receiver IF Ranges. How did we get them?